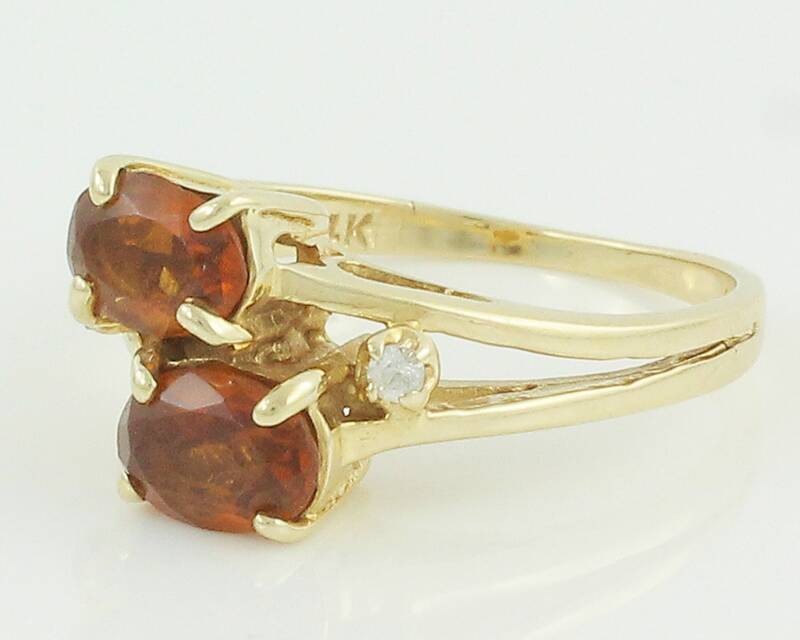 Vintage 1980's Bypass Ring 14K Yellow Gold with 2 Oval Spessartite Garnets and White Sapphire Accents. 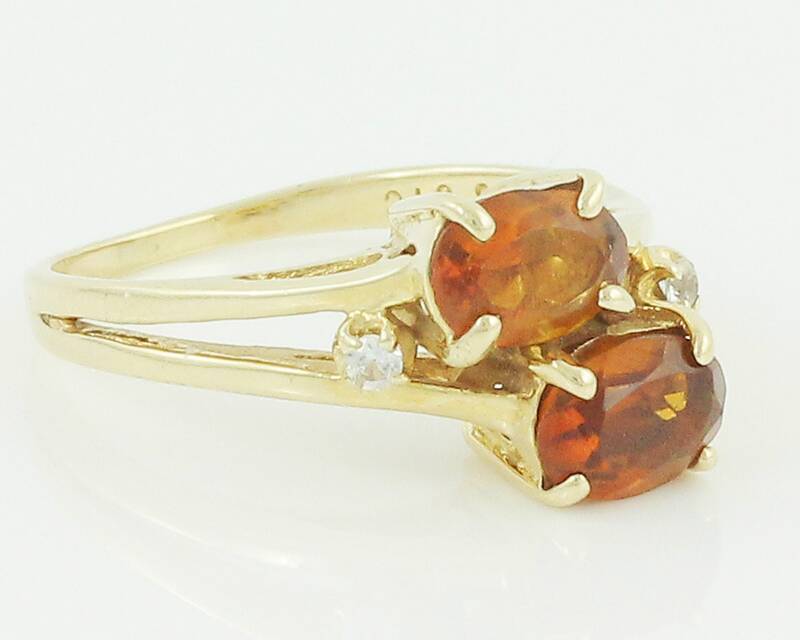 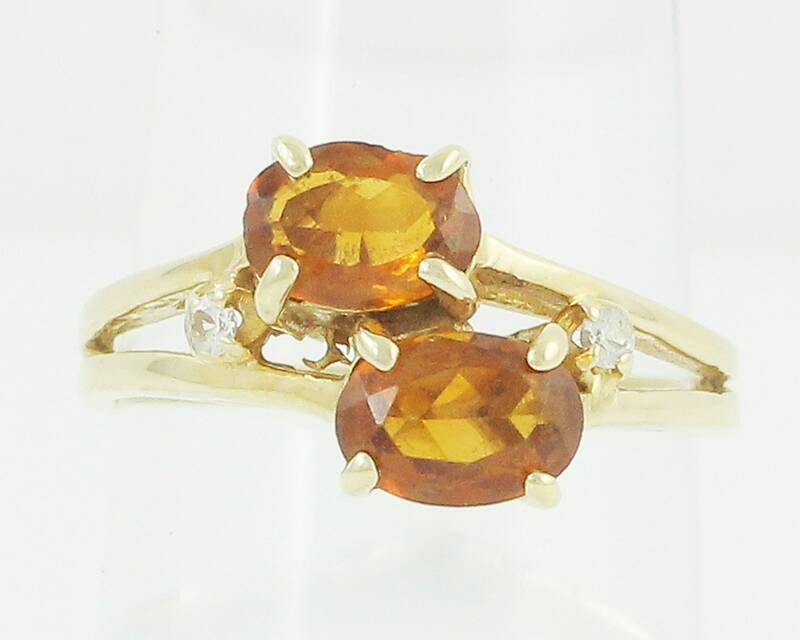 This 14K ring has two oval faceted orange garnets flanked by two small round white sapphires as accent stones. 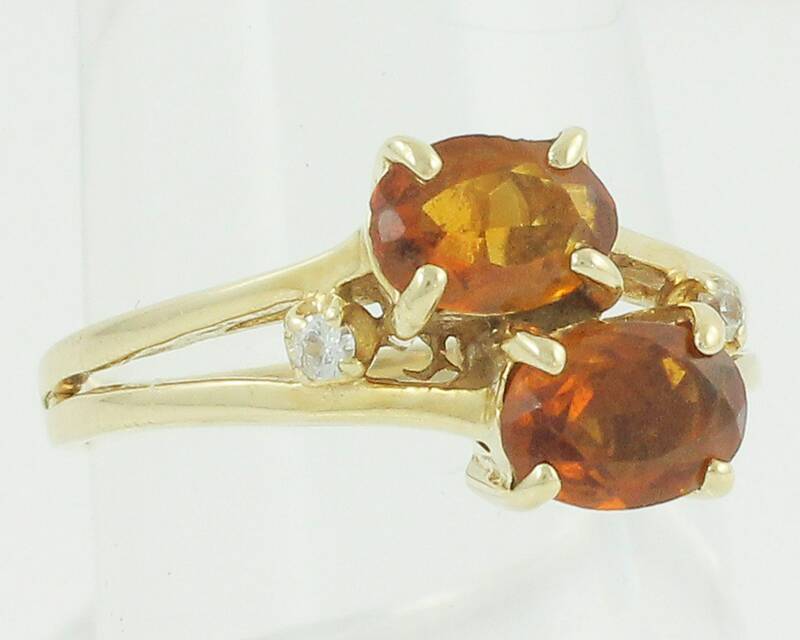 All stones are prong set. 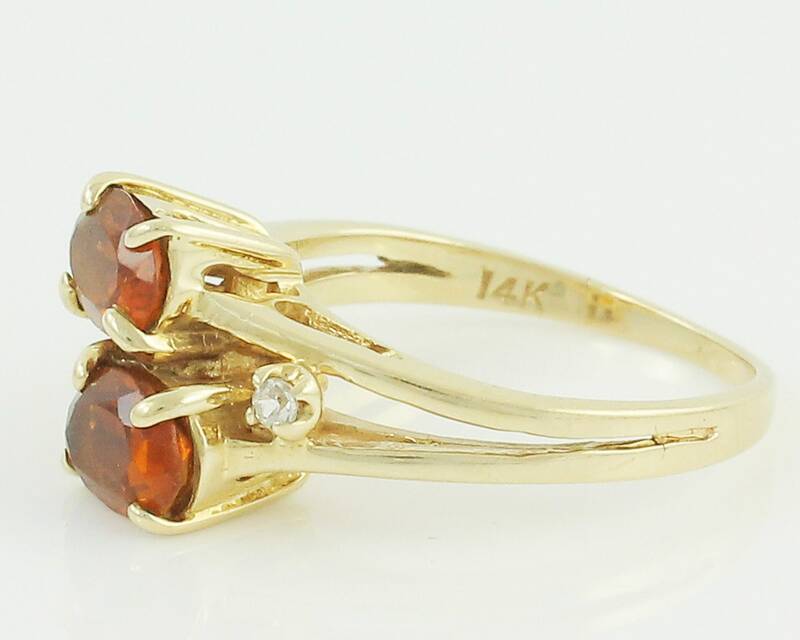 The ring has a raised gallery and a plain shank. 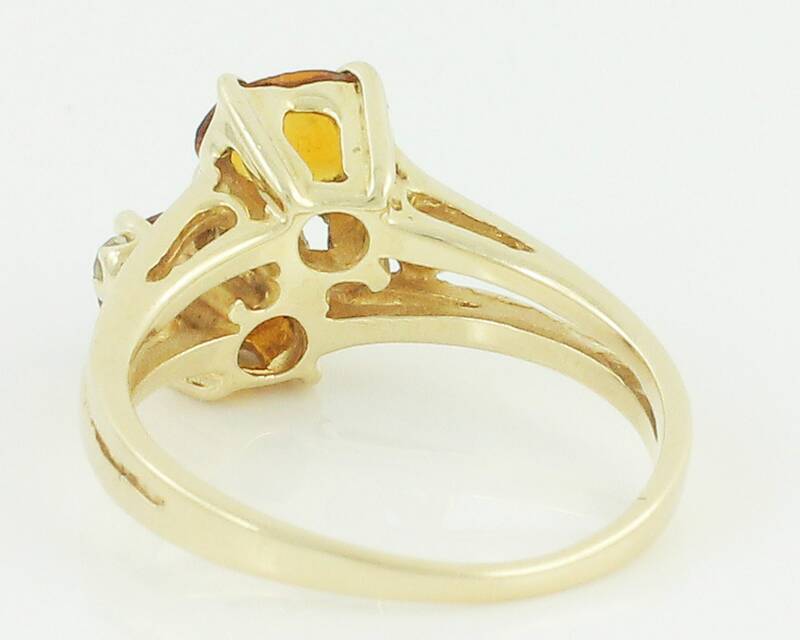 Head Size: Ring measures 10.25 mm north-south by 12.9 mm wide east-west at the head and measures 1.45 mm wide on the shank at the reverse.